Irvine, Calif. (Nov. 27, 2018) – American Healthcare Investors, LLC and Griffin Capital Corporation, the co-sponsors of Griffin-American Healthcare REIT IV, Inc., announced today that the REIT and certain of its subsidiaries have entered into a new credit facility totaling $400 million with Merrill Lynch, Pierce, Fenner & Smith Incorporated, Key Bank Capital Markets and Citizens Bank, National Association as joint lead arrangers and joint book runners. Bank of America, N.A. will serve as administrative agent, swing line lender and letters of credit issuer, Key Bank, National Association will serve as syndication agent and an additional letters of credit issuer and Citizens Bank, National Association will serve as an additional syndication agent. The credit facility matures on Nov. 19, 2021, but may be extended for one 12-month period during its term by Griffin-American Healthcare REIT IV upon the satisfaction of certain conditions, including payment of an extension fee. 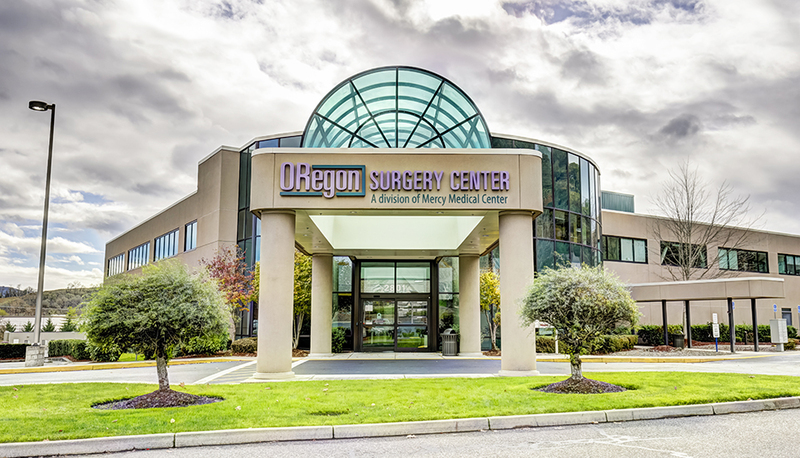 At the option of Griffin-American Healthcare REIT IV, draws under the credit facility bear interest at per annum rates equal to (1) (a) the Eurodollar Rate, as defined by the credit facility, plus (b) a margin ranging from 1.75 percent to 2.20 percent per annum based on the REIT’s consolidated leverage ratio, or (2) (a) the greater of (i) Bank of America’s prime rate, (ii) the Federal Funds Rate, as defined by the credit facility, plus 0.50 percent, (iii) the one-month Eurodollar Rate plus 1.00 percent, and (iv) zero percent, plus (b) a margin ranging from 1.75 percent to 2.20 percent based on the REIT’s consolidated leverage ratio. As of Nov. 15, 2018, Griffin-American Healthcare REIT IV’s portfolio consisted of 58 medical office buildings, senior housing facilities and skilled nursing facilities located in 20 states comprised of approximately 3.4 million square feet of gross leasable area, as well as an interest in a joint venture which owns or operates a portfolio of integrated senior health campuses and ancillary businesses, acquired for an aggregate contract purchase price of approximately $807.6 million.1 Additionally, the company is currently pursuing approximately $211.6 million in additional pending acquisitions2 which would result in a total portfolio of approximately 96 healthcare buildings located in 21 states comprised of approximately 4.6 million square feet of gross leasable area upon the successful completion of these potential acquisitions. 1 Based on aggregate contract purchase price as of Nov. 15, 2018. 2 Comprised of prospective real estate acquisitions for which the company has executed letters of intent and/or purchase and sale agreements as of Oct. 20, 2018. These prospective acquisitions are subject to substantial closing conditions and the satisfaction of other requirements as detailed in the agreements. Accordingly, the closing of some or all of these pending transactions may not occur. Griffin-American Healthcare REIT IV intends to build a balanced and diversified portfolio of healthcare real estate assets, focusing primarily on medical office buildings, hospitals, skilled nursing facilities, senior housing and other healthcare-related facilities. Griffin-American Healthcare REIT IV also seeks to provide: portfolio diversification, preservation of capital, monthly distributions and capital appreciation by increasing the value of its properties for its stockholders. Griffin-American Healthcare REIT IV qualified to be taxed as a real estate investment trust for federal income tax purposes beginning with its taxable year ended December 31, 2016, and it intends to continue to qualify to be taxed as a REIT. The REIT is co-sponsored by American Healthcare Investors, LLC and Griffin Capital Company, LLC. 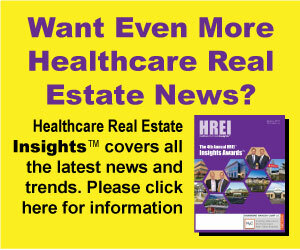 For more information regarding Griffin-American Healthcare REIT IV, please visit www.healthcarereitiv.com. Griffin Capital Company, LLC (“Griffin Capital”) is a leading alternative investment asset manager that owns, manages, sponsors or co-sponsors approximately $11.2 billion* in assets. Founded in 1995, the privately held firm is led by a seasoned team of senior executives with more than two decades of investment and real estate experience and who collectively have executed more than 650 transactions valued at over $22 billion. The firm manages, sponsors or co-sponsors a suite of carefully curated, institutional quality investment solutions distributed by Griffin Capital Securities, LLC to retail investors through a community of partners, including independent and insurance broker-dealers, wirehouses, registered investment advisory firms and the financial advisors who work with these enterprises. Additional information about Griffin Capital is available at www.griffincapital.com. * Includes the property information related to interests held in certain joint ventures. As of September 30, 2018. This release contains certain “forward-looking statements” within the meaning of Section 27A of the Securities Act of 1933, as amended, or the Securities Act, and Section 21E of the Securities Exchange Act of 1934, as amended, or the Exchange Act, including statements with respect to the company’s ability to increase the credit facility to up to $650 million, the intended uses of the credit facility and its benefits to investors, the company’s ability to accretively grow its portfolio and the closing of pending acquisitions. Because such statements include risks, uncertainties and contingencies, actual results may differ materially from those expressed or implied by such forward-looking statements. These risks, uncertainties and contingencies include, but are not limited to, the following: our strength and financial condition; uncertainties relating to the strength and financial condition of our current and future real estate investments and their tenants and operators; uncertainties relating to the medical needs and local economies where our real estate investments are located; uncertainties relating to changes in general economic and real estate conditions; uncertainties regarding changes in the healthcare industry; uncertainties relating to the implementation of recent healthcare legislation; uncertainties relating to the implementation of our real estate investment strategy; and other risk factors as outlined in our company’s periodic reports, as filed with the SEC. Forward-looking statements in this document speak only as of the date on which such statements were made, and undue reliance should not be placed on such statements. We undertake no obligation to update any such statements that may become untrue because of subsequent events.